I’ve spent a lot of time around 425 University Avenue, Palo Alto here in Silicon Valley. Enroute to Cafe Venetia for coffee last week, I was approached by a BeamPro outside there store and filmed this video. 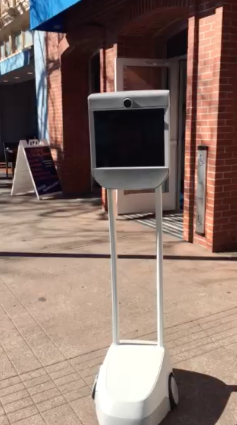 (Click this link to play video of BeamPro in Palo Alto). A slightly better use case can be watched here on how BeamPro has removed conference calls from this company. Having lunch last year at La Joya in Palo Alto on University Avenue, a slightly unshaven Sergey Brin and wife were lunching. 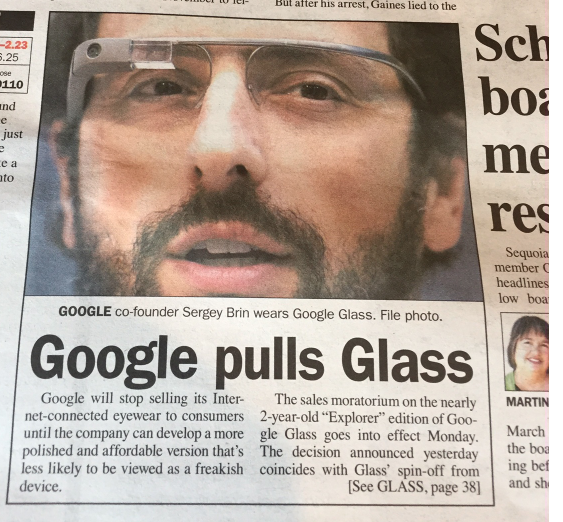 He was sitting in a restaurant in the heart of Silicon Valley – the only person wearing Google Glass. They cost $1500 to $2000 to buy a pair. That was the problem why no-one bought them. That and you looked pretty silly in them.